When I travel to the Caribbean in a matter of weeks, I won’t be just wondering what shoes to pack or if I remembered my sunscreen. I’ll also be taking down a suitcase of supplies for Pack for a Purpose. 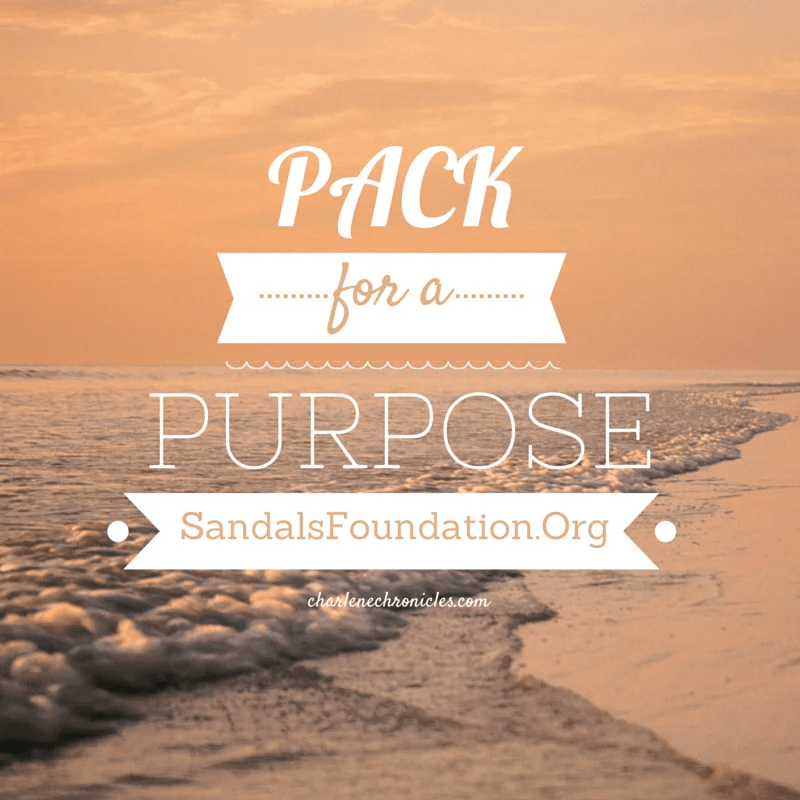 The Pack for a Purpose Project is part of the Sandals Foundation. Many of you may know about the luxury Sandals Resorts or even visited the family-focused Beaches Resorts, part of the Sandals Family. Though Sandals has and is building all-inclusive resorts (seven so far) in the Caribbean, they always make sure to give back to the communities in which they are located. Whether is it donating building and hotel supplies, providing food and linens, planting trees, donating computers, training teachers, adopting schools, awarding scholarships, donating books, spaying/neuturing cats and dogs or improving access to dental and eye care, the Sandals Foundation has spent over 30 years providing such support. I’ll be traveling with school supplies for kids. Everything from rulers and markers to crayons and backpacks. If you live locally, drop off your donation to Kidville Wellesley by 12pm on Wednesday, October 15th. Or if want to put together a box and ship to me by October 15, 2014, to bring down to the Caribbean, please email me at charlene[at]charlenechronicles.com for details. Book Bags, Chalk, Colored Construction Paper, Colored Pencils, Crayons, Dry-Erase Markers, Erasers, Glue Sticks, Handheld Pencil Sharpeners, Markers, Pencils, Pencil Cases/Bags, Pens, Rulers, and Solar Calculators. To see other ways you can give, head to the Sandals Foundation website or the Pack For Purpose website to see all the opportunities to make a difference the next time you travel!